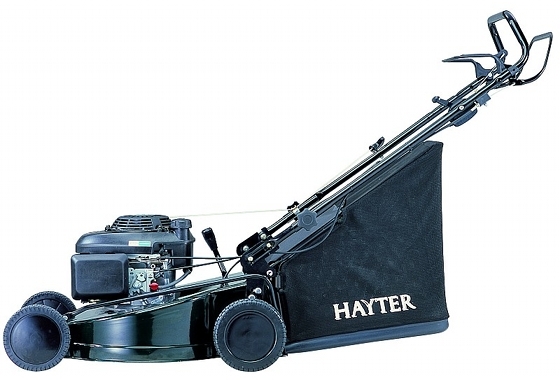 The Hayter Motif 53 Autodrive is at home in any large garden. This four wheeled rotary mower features large wheels for extra traction to produce an excellent finish, on lawns or rougher grassed areas. The wider 53cm cutting width helps cut down the mowing time in the larger garden and the self-propelled drive ensures effortless cutting. Friction Disc: This product is fitted with a unique cutterbar Friction Disc. This will protect the engine crankshaft from bending should the operator accidently hit a solid object. The machine has a lifetime guarantee against crankshaft bending. Height Adjustment: This machine features a single point height adjustment, allowing you to raise and lower the cutting height with one simple action. Fabric Bag:The machine is fitted with a quality fabric grass bag. Unlike a plastic grass box, the fabric bag allows spent air to escape easily resulting in improved collection.